Cyclotrons: proof that the future is already here. Cyclotrons are giant electromagnets made from tightly wound copper coils and lots of power – some 65 kilowatts – to heat up hydrogen to 5,000 degrees Celsius – almost as hot as the surface of the sun. They need this energy to convert the hydrogen into negatively charged hydrogen ions and accelerate them towards the speed of light to transform into a radioactive isotope called fluorine-18. Since the isotopes are mildly radioactive, cyclotrons must be housed in special structures and behind 2-meter-thick walls. 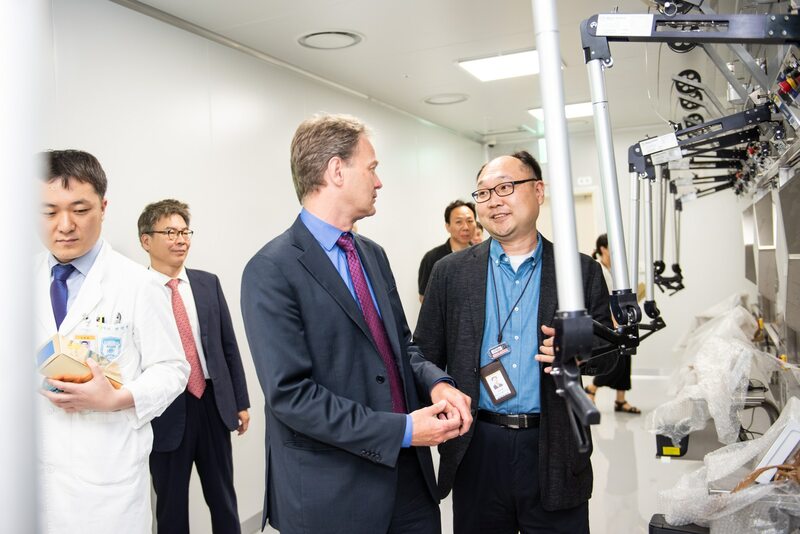 Understanding the power and potential of this technology, the Korea Institute of Radiological & Medical Sciences (KIRAMS) – a pioneer in radiotherapeutic research – installed GE Healthcare’s PETtrace 880, a cyclotron with a complete radiopharmacy suite. This marks GE Healthcare’s 400th cyclotron installation in the world. This is the third cyclotron at KIRAMS. “Although we already have two cyclotrons at KIRAMS, we needed to obtain the stable equipment to produce positron-emitting radioisotopes with the short half-life, compact size for efficient use of space, and easy maintenance. We determined that the GE cyclotron was the most suitable for our purposes,” says Dr. Lee. The cyclotron will be used for cancer diagnosis and treatment at KIRAMS’ convergence research center, currently under construction. 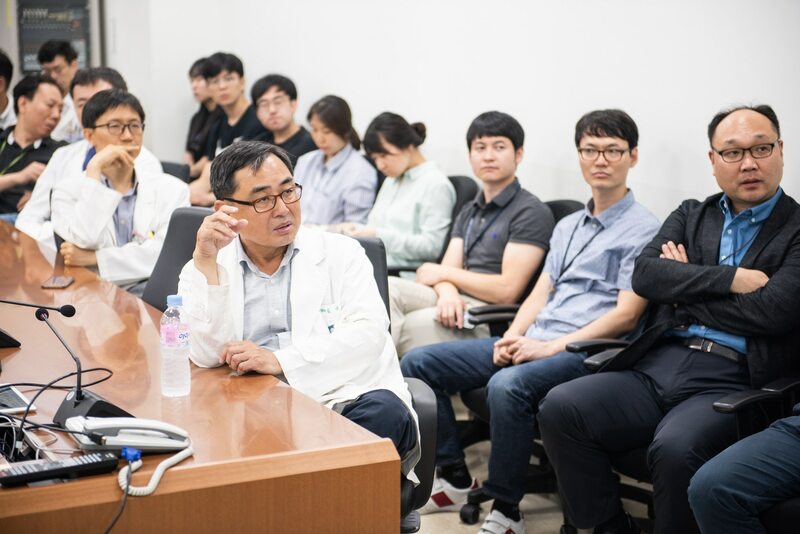 KIRAMS is a pioneer in radiotherapeutic research in Korea and it expects the new cyclotron to contribute to many tangible outcomes in its research and development of radioactive drugs and cancer diagnosis and treatment. A cyclotron is a type of particle accelerator that produces radioactive tracers to help identify the location of cancer cells. They weigh more than 44,000 pounds and rely on a powerful electromagnet and hollow electrodes to spin highly charged particles to create specific radioactive isotopes. These isotopes are then combined with compounds designed to bind to certain molecules in the body, essentially tagging the metabolic activities of disease with radioactivity. These radioactive tags emit gamma rays, which are detected by Positron Emission Tomography (PET) cameras, allowing clinicians to observe metabolism in action as the labelled molecules pass through the body. However, these isotopes have a half-life of less than two hours, which was a key reason KIRAMS installed a cyclotron. “The use of radioisotopes with the short half-life is very limited without cyclotron production on-site. 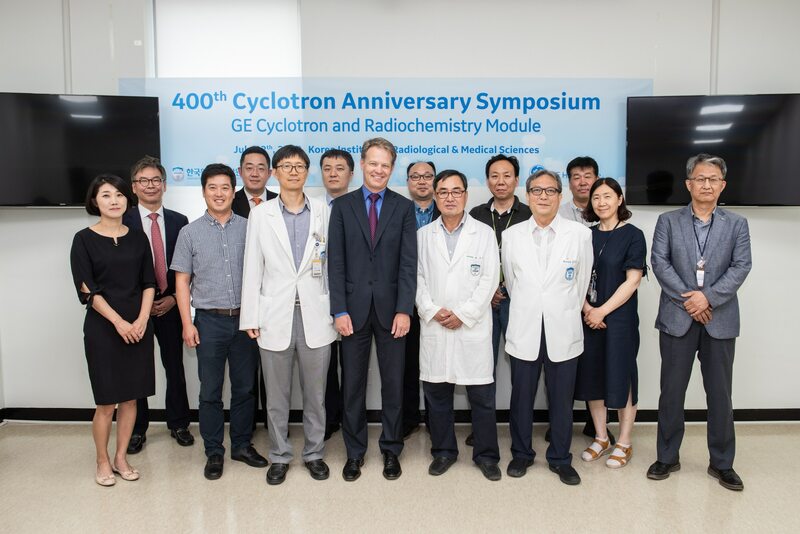 Therefore, the cyclotron is the essential equipment in nuclear medicine and radiopharmaceutical development area,” says Dr. Lee Kyo-chul, chief chemist at the Institute of Radiation Medicine Research Center, KIRAMS. GE Healthcare usually installs 20-25 cyclotrons per year around the world. This year, they expect to install nearly 30 cyclotrons – a new record.